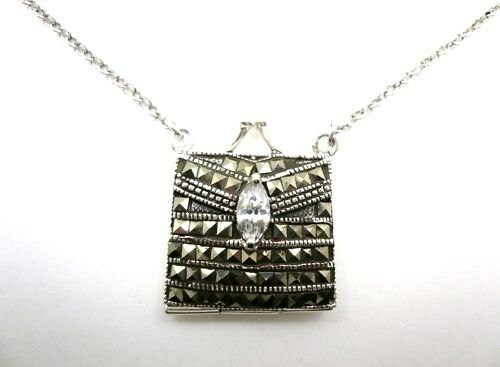 Up for sale is this fabulous sterling silver and genuine marcasite Purse Pendant Locket Necklace set with a genuine crystal gemstone. 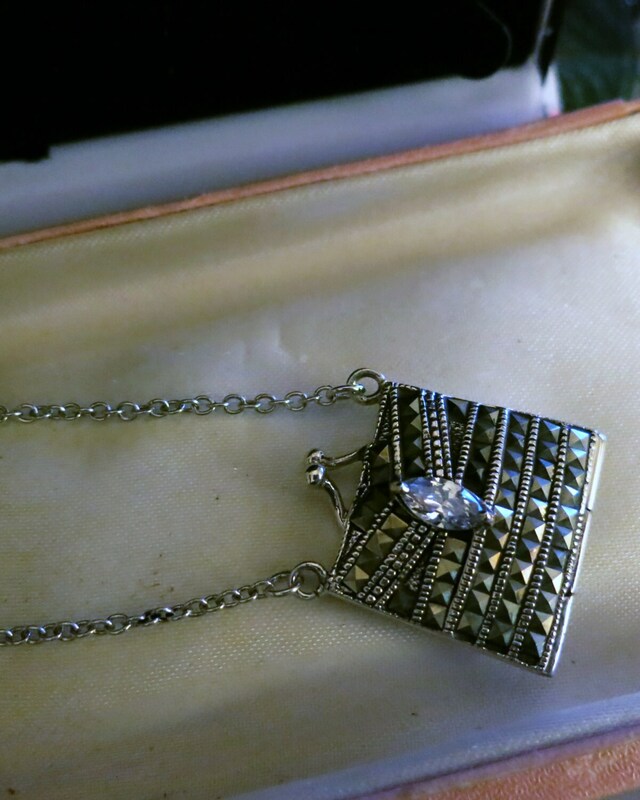 The Purse is encrusted with Square Cut Marcasites on the front with a centre Marquis stone. 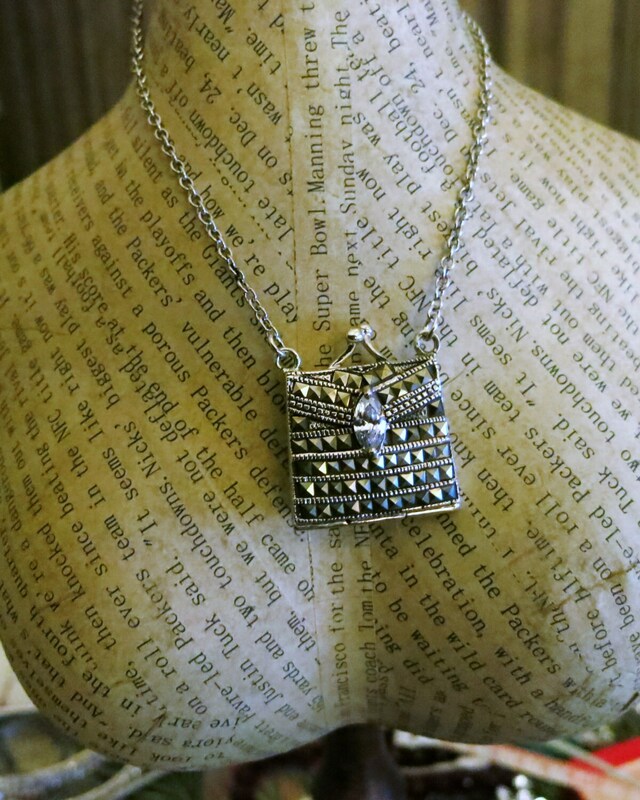 The back is a patterned design Sterling Silver. 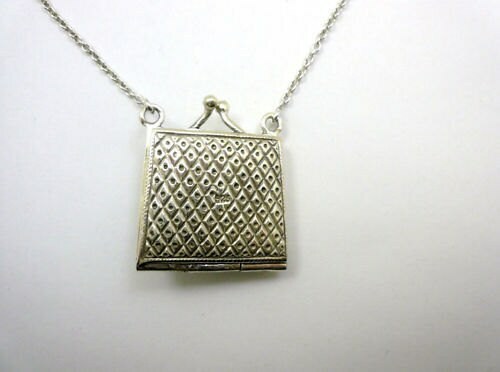 It is on a sterling silver 28 inch chain. 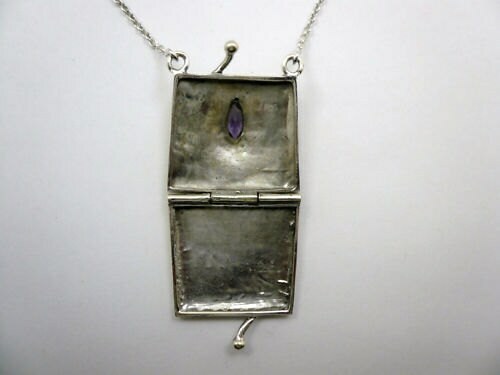 The pendant locket is 1 inch wide and a heavy piece. A gorgeous piece. It opens as shown.